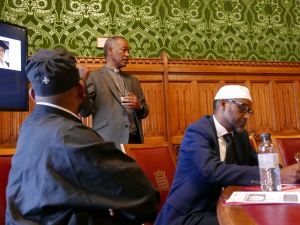 Religious leaders representing Eritrea’s Christians and Muslims spoke passionately about the repression their people face today. Speaking before MPs and members of the House of Lords at a meeting chaired by Lord Alton, they gave two hours of evidence. Dr Berhane Asmelash, a vicar in the church of England, explained how dozens of men and women he knew personally had been jailed and tortured for their faiths. 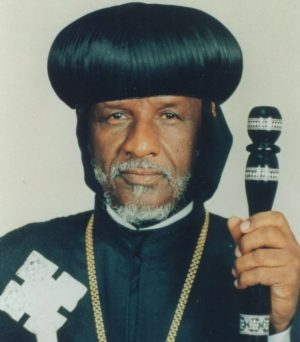 Eritrean religious leaders have done good job. When they work together, the devil that works against all of them will be exposed. They have no enemy other than the Big Satan we have a home. Let’s hope and pray Isaias is dead before the 28th year of independence. 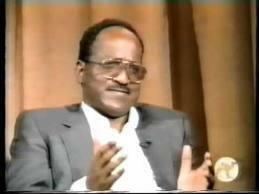 If that happens, we will be able to say God lessons to the oppressed people of Eritrea and give thanks to Him. Otherwise I question God’s very existence. Why would a “compassionate” God let the Eritrean people suffer in perpetuity? That is the persistent question that comes to mind every single day. 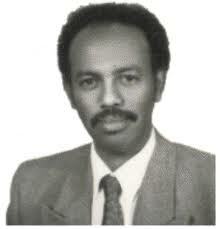 Why and why should the Eritrean people suffer endlessly in the hands of this evil man if there was indeed a God? Freedom is the distance between Church and State. we want freedom from religion and freedom from the state as well. We understand that the religion of one age is literary entertainment and is a major weapon in the war against reality. It traded in a warmonger and some easy people think that’s progress. A deep unwavering belief is a sure sign they are missing something; a politically organized religion is like organized crime; it preys on peoples’ weaknesses, generates huge profits for its operators, and is almost impossible to eradicate. Sure, the so called justice seekers politicians add lie even when they’re sometimes telling the truth. But now we see every absurdity has a champion to defend it. “In religion and politics, people’s beliefs and convictions are in almost every case gotten at second-hand, and without examination.” — Mark Twain. 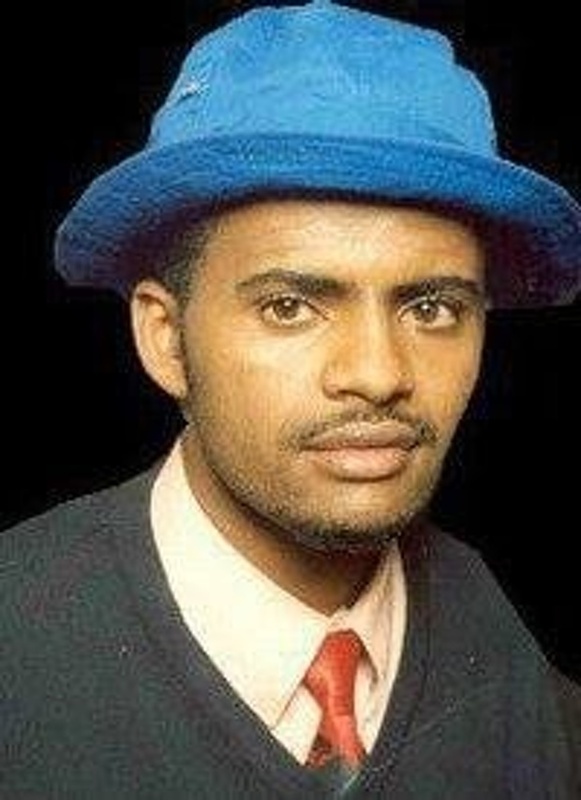 Simon G.: ስማዕስከ ደሓን ዲኻ ደኣ ጥዕና? 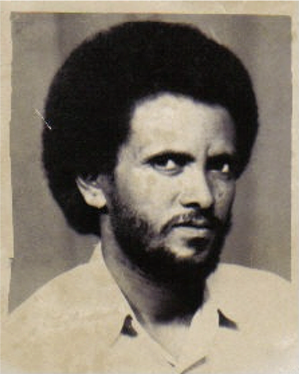 DIA: ዋእ እንታይ ኮይኑ ሰሚዕካ: ናይ ቲ ፈገር ወዲ በዓታይ ኣንቢብካ ዲኻ? 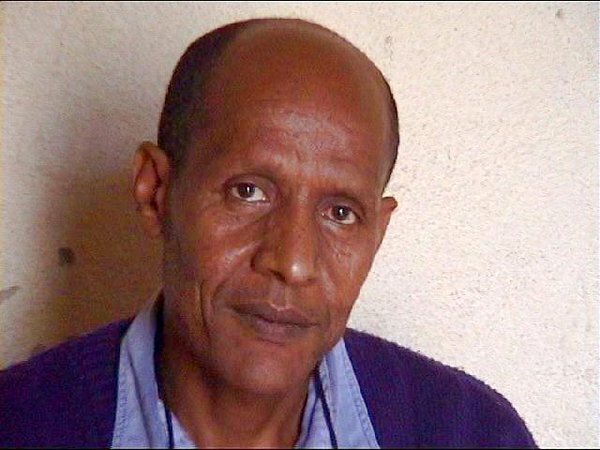 Simon G.: ኢሱ ኢሱ, slow down man ኣንታ ኢሱ: ንጰጥሮስ ተዄንካ ሰብ ከይስሕቀካ። He is everything good but feger. Stop it. DIA: I like the new name TV Isu! 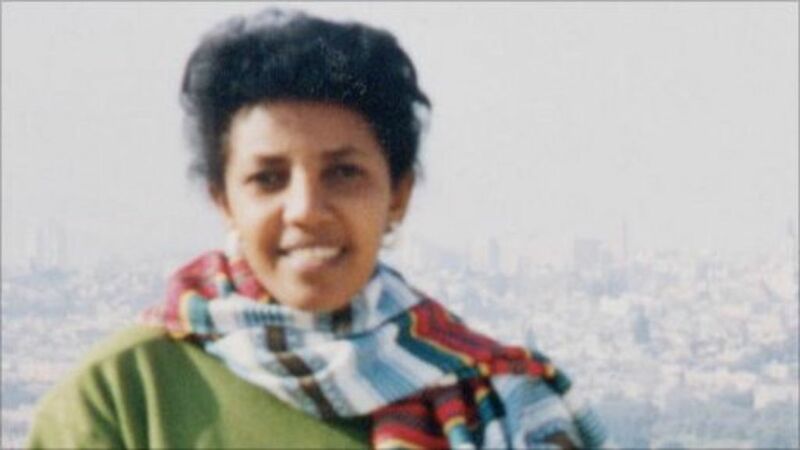 DIA: ኖ ደሓን ‘የ። ምቅይያር ክሊማ’ዩ። ተሓቢእኪ ኣነ ዝዛረቦ ከምትሰምዒ ‘ኳ ይፈልጥ ‘የ። እሞ ሓደስቲ ቃላት ዶ ተማሂርኪ? 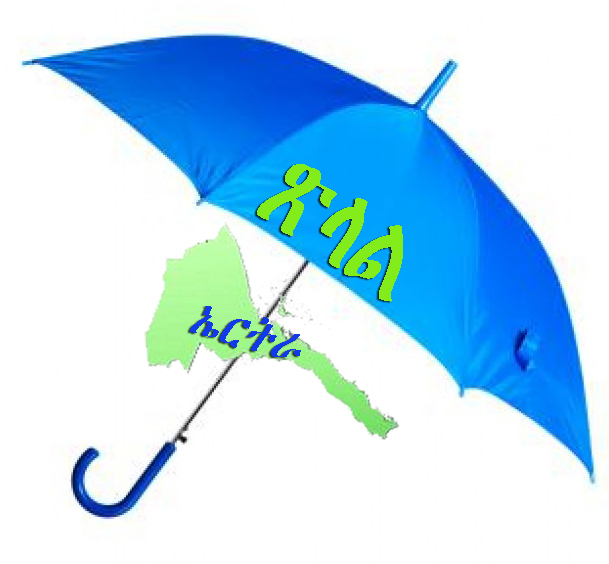 DIA: ‘ቲ ሓዊ መ ኢኻ ትብሎ ድዩ? 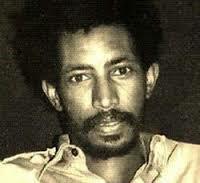 DIA: ንኻልእ ግዜና። ንምንታይ ድየ “ወዲ-መሬት” ምባል ምሂዘ? 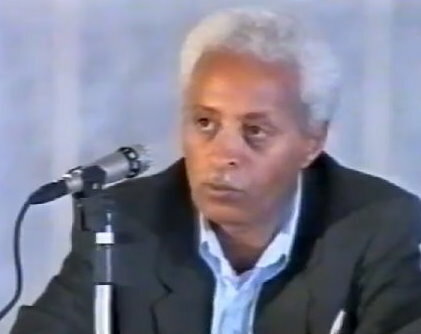 DIA: ፈልጠዮ ኣለኹ: ‘ቲ ዓጂዝ ዲኻ? 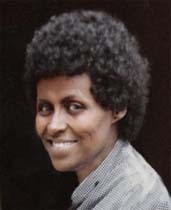 ‘ተዘይጌሩ ድማ ምስ መጸ ይረኽባ! Simon G.: ዋእ! ናብ ኤርትራ ይመጽእ ድዩ? Simon G.: ሓንቲ ሕቶ ‘ባ ክሓተካ። ሓቂ በል ሕጂ ኢሱ: በጃኻ ኢለካ ብመዓልቲ ናጽነት! DIA: ናይ ምንታይ ናጽነት? 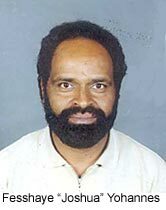 እምበኣር ናጽነትክን ረኺብክን ኢኽን? Simon G.: ዓድና ይገድፈልኩም ማልትካ ድዩ? Simon G.: ዲግሪ ደኣ you have to earn it። ባዕልኻ ካብተን ኮለጃትካ ጸሓፉለይ ዘይትብሎም? 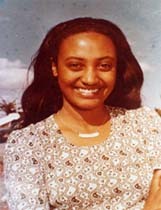 ሕሰብ ተበልኩ ግና ሰኣን ባጀላ ምሃብ ኢና ዝኹሉ ጸገም? 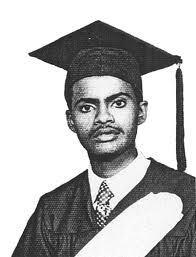 ኣንቱም ፕሮፌሰራት በጃኻትኩም ሓቦ በሉ። ዋላ Fake diploma ሰሪሕኩም ሃብዎ ‘ሞ ዓድና ክገድፈልና። I think this is not much to ask. One thing he earned for sure though Simon,an honorary degree in social engineering,look how fixed the nation to fit his needs,they don’t teach you that in conventional schools. That was a nice exchange with the maestro of all sorts. 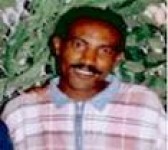 “Il capo dei capi” of Eritrean mafia (aka Higdef) is almost gone. 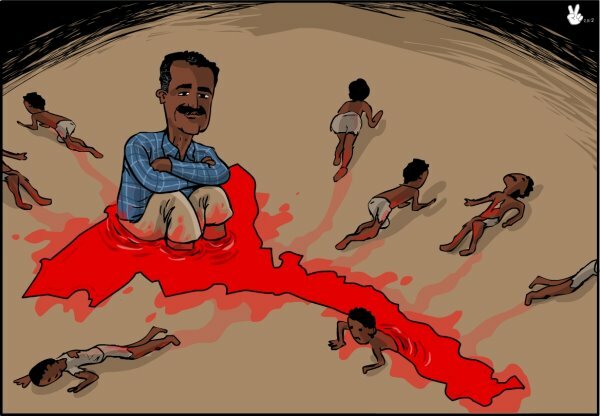 What he is leaving behind is a country completely destroyed, looted of its natural resources and an entire ‘warsai’ generation denied the right to live in their own country, close to five hundred thousand Eritreans left Eritrea in a decade, according to UNHCR. The challenges ahead are colossal, but unfortunately, we as the people are not ready for change. The opposition is weak and in disarray. 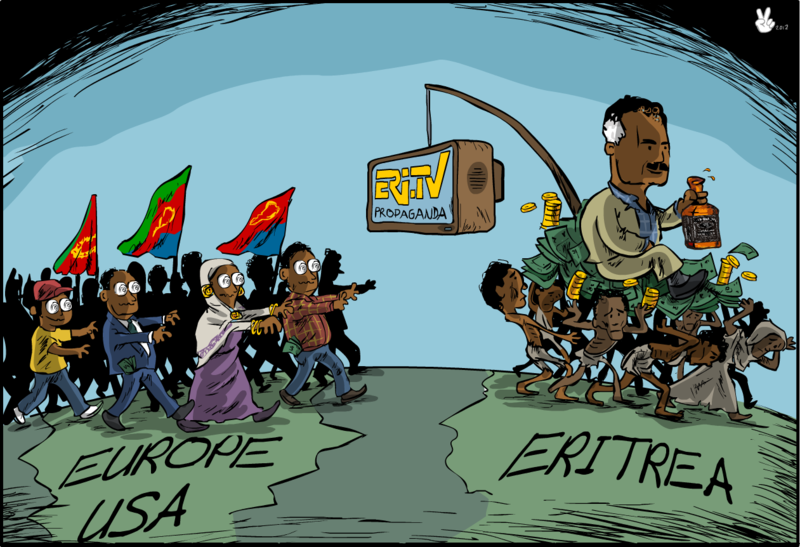 The more time it takes to create an alternative true nationalist political force that can bring Eritreans together and remove the bloody colonels from power, the road ahead will be very difficult. Let’s hope and work hard for a mafia free Eritrea. Thanks KT, WH, and Danilo! BTW, as expected SAAY has summarized Chief of Adi Halo’s boring speech as usual and he did it very well. The guy has blessed with much wisdom. He turns a boring event to a delightful treat. Check it out at awate! 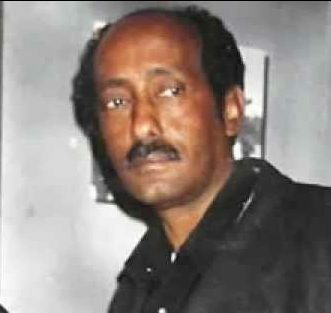 አብዛ ዓለምና ንነብሱ ዝፃባዕ፣ ንነብሱ ዝዝንጥል ፣ ንነብሱ ዛዕኑ፣ነብሱ ዛጽንት፣ መንነት አልቦ አራዊት- ነውራም ወዲ አስመሪኖ ወለዶ ኢሳያስ’ዩ፡፡ ኢሳያስ ውፂኢት ተወሊዱ ዝኧበየሉ መጨበጢ ዘያብሉ ሥነ ልቦናን ባህሪያትን አስመሪኖ’ዩ፡፡ እቲ ከም ባህሊ ቅርፂ ሂዙ ዛሎ ውፂኢትን ሴራን- ፋሺስቲ ጣልያን፣መንነት ዘያብሎም ኣብ ሃገረ ዐዕራብ ዝተማሃሩ ጀበርቲ፣ አምሃሩን፣ ሙሁራት ሀይማኖት ኬንሻን ካቶሊክን- ኩሎም ንዘመናት ዛካየድዎ ንተጋሩ ከበሳ መንነቶም አህሲስካ ከምጀበርቲ ናብ መንነት አልቦ አውሪድካ ብውፂኢቱ ምስ ተጋሩ ትግራይ አባኢስካ ፈላሊካ አዳኪምካ ኣብ ተጋሩ ከበሳ ልዕልናካ ናይምርግጋጽ ጉዕዞ ን70-ዓመታት ኪሥራሃሉ ዝፀነሃ ሸርሂ’ዩ፡፡ ኢሳያስን ካሎኦት መራህቲ ሻዕብያ፣ ዕባያት አስመራ ወለዶ ኢሳያስ’ውን ከይፈለጡ መጋበርያ ናይዙ ሸርሂ ኮይኖም ኣብ ምጽናትን ምድስካልን ተጋሩ ከበሳ እዙዝ ተራ ይፃወቱ’ለው፡፡ ድህሪ እዚ ኩሉ ነብሰ ቅትለት- ንቡርነትን ፣ ራህዋን፣ ሠላምን ናብ ተጋሩ ከበሳ ኪምለስን ኪሰርጽ እንተድአ ኮይኑ እዚ ባዕዲ ዝኮነ ቅልውላው ሥነልቦና ካብ ሱሩ ተምህዩ ኪድረበ ግድን’ዩ፡፡ እንተዘይ ኮይኑ ምስዚ ቅልውላው ዕምነት- ተፃብኦን ኩናትን ጽንተትን መገዲ ድህሪትን ኪቅጽል’ዩ፡፡ ኢሳያስ ብምልጋስ ዝመጽእ መፍትሂ የልቦን- መንነት አያታቶም ዝደርበዩ አእላፍ ሃሱሳት ስለዛለውና! Sol,teclay/የማነ and even with many faking nick names will not be interrupted unless assenna block him. Some times I read his comments as fanny because it is out dated. 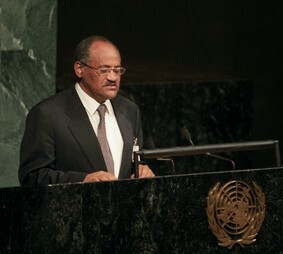 He probably dream “the great Ethiopia but why not great Eritrea? Dummy, he has Tgray issue too that is not our issue. Never at all. 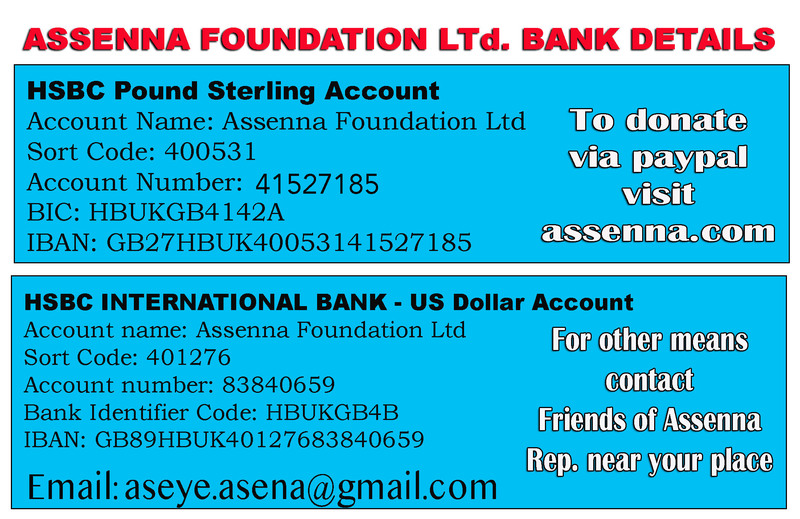 Assenna is not too much disparity from Sol,teclay/የማነ and other Woyane paid mercenaries. They are all homogeneous sellout practitioner propagandists. Families, Mr. Many names is a non entity without any human values and principles. 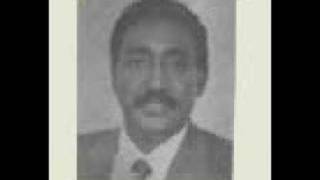 His sole goal is How to make assenna a forum of insults in order to be abandoned by justice seekers to reach his goal he insults Eritrean gedli, religions, regions, etc. Read as Danilo, this Mr. Many…. Gezae be honest to yourself . What about your two faced reputation to confuse this forum ? Any way it was nice try . Brother Ahmed, Gezae is double face. One time declare as ELF and even traced his foot print in DANKALIA. And now trays to gallop the horse in Adi hallo armed with venom. Some consider as sacred prescription. We also observed useless commentator in disguise of participants nicknames . Certainly, I had been a member of ELF since 1969. I lost a lot of my brother, comrades, close friends, and neighbors because of the nonsense civil-war [ armed conflict or hostilities] sparked by the obsoleted leadership of ELF. Anyhow I am always proud of my contribution for my country as ELF fighter. And as long as a member of the patriotic peace and development oriented Eritrean I always concerned about the security and stability of the country’s hard earned peace and independence. Thus, grabbing political power by violence or tend to brain wash the gullible young is not right and no way for the devil-incarnation the so-called Eritreans oppositions. We need peace and development in the country. Without peace no progress and development will take place. All wars are dangerous, and civil wars have always been notoriously merciless. So I like the government to be more smarter and proactive against the enemies of independence, peace and development of the country. However, I do not really want to talk about this issue much because the case is in the hands of the law. But what I will like and use my radar to focus on or to say is that getting political power is not by force. Neither by exchange. 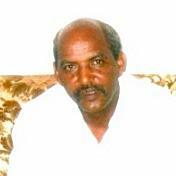 No Eritrean or political party will get political power in the country by exchange or force. Neither by the use of gun or by inciting violence no way. 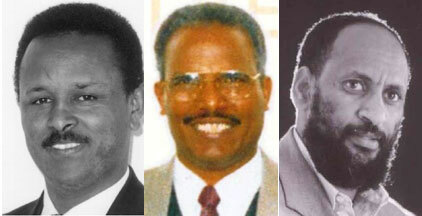 The reason being genuine Eritreans are quite awake now. 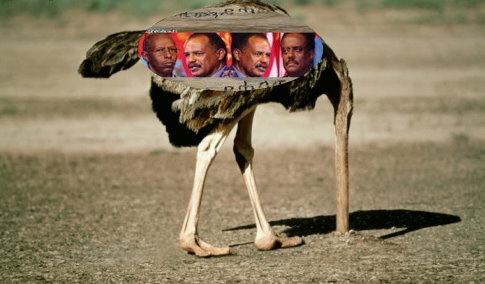 Therefore, the people of Eritrea are no longer fools. No power hungry lie politicians will fool them again. Any way please do not get me wrong, I am not trying to defend the PDFJ/PIA government. 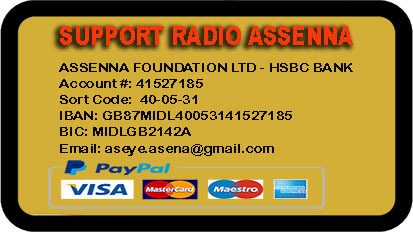 I am just trying to justify the causes of problems in Eritrea. 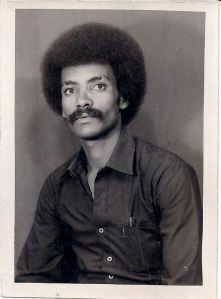 The reason being, I do believe that those are hard facts and are very hard to deny by any honest and wise Eritreans. I don’t want you to allow fake poor politicians to make fool you. Those politicians who want to use problem in the country as a campaign tool or strategy will not work. To those who may want to use gun, violence or war as a strategy to win will not work this time. To those who think power is by exchange they are complete dreamers. The people will only give power to the political party in the country by its very hard works and good record for the country and the people. But not to those with historical tainted records. It is really true, it is not a matter of political witch hunt or political intimidation to bring democratic reform, it is a matter of keeping the laws of the nation at work; Again, not by ethnic or by religion measure or rely approaches too . National political power is not like a musical soft table. This is a complete dam and impractical. There is nothing like that in the political democracy of the country. Hence, if people may be willing to work with the so called opposition in good faith, particularly if they have run a good advocacy campaign. Keep an eye open for situations that might turn into a chance to work together. They should be careful that by saying cooperation, don’t really mean capitulation to your interests. But should be careful, too, that they are open to any legitimate possibilities for making a deal that come their way. If a government leader states publicly that some of their ideas have merit, that could be the olive branch they should’ve been waiting for to achieve peace, and also reach some of their goals. Therefore, my patriotic peace, progress and development loving Eritreans lets not bent on trying to destroy the hard earned peace and independence that our poor people are currently enjoying in the country just because of those selfish, greedy political, and ungodly so called religious leaders ambitions. Thus in view of that this is the time to raise our voices very loud and clear before it is too late. We should not sit by and wait until when something happens before we shout. NO, now is the time to shout. The reason being, AK47 bullets do not know who is an supporter, who so opposition or who is a journalist what so ever. “lets not bent on trying to destroy the hard earned peace and independence that our poor people are currently enjoying in the country……”_________I don’t know what to make of that.”….. nonsense civil-war [ armed conflict or hostilities] sparked by the obsoleted leadership of ELF.”____________are you sure you were there? or you are purposely trying to deflect the current issue and take us back to the trenches of Kur and Kerkebet which are currently HGDEF’s farmland nourished by the fossil of our martyrs? Gezae,are you sure you got your marbles together? You had been a member of ELF since 1969? Time for you to rest. So much incoherent bluff. And you keep saying “please do not get me wrong, I am not trying to defend the PDFJ/PIA government”. Yes, you are. According to my book, you ARE a HGDF supporter. What are you then? ወዲ ላምና’ዩ ዝመራሒ መንግስቲ ክንድግፎ ኣለና kind of person? A delusional kind of person? ተበላጺ kind of person? You are not making any sense at all. Time for you to retire, permanently. Simon,we must have posted the reply simultaneously,talking of being on the same wavelength! honestly though,what is Gezae trying to accomplish here? is he trying to make us love the unlovable? or persuade us to have pity on those who knowingly or unknowingly support the brutal regime? how about him coming out of the closet with full HGDEF gear hoisting the banner and doing a lap,I think people will respect that. If knowledge is power, ignorance is weakness. Ignoring the facts has long been a staple of politics. Every day, politicians overstate distort their opponents’ positions, or simply tell out-and-out whoppers. Surrogates and pundits spread the spin. Hence, dishonesty in politics is nothing new; the same manner in which some so called justice seeker what so ever politicians now lie. But the havoc they may wreak by doing so, are worrying. Every body that Sadam Hussein didn’t possess weapons of mass destruction in which finaly the world reached lie. This information, which is often cited as a lie used to make the case for the war, was directly contradicted by many major sources of intelligence. The WMD threat assessment was largely based on reports by Ahmed Alwan al-Janabi (a man who German intelligence had warned the CIA about, clearly stating he was unreliable) and Muhammad Harith, a former Iraqi intelligence officer. Their information was dismissed by British intelligence as a complete fabrication ten months prior to the war. The same way in Assenna family menbers there’s fake and fabricated news, evetnts, and history phenomenon is now sweeping, well. You fake news, events and history is made-up stuff, masterfully manipulated to look like credible reports that are easily spread to large audiences willing to believe the fictions and spread the word. I do not affraid any one I am speaking my mind. For those who care about accuracy and evidence like me, it’s time to recognize that something really has gone off course. Brothers, you may intentionally mislead or confuse the public by lying or by forgetting to tell the whole genuine story or history. But deception is low-minded; it is unfortunately, an all-too-common un occurrence in the lives of both people and organizations. Thus, if an organization or movemnt or a person has a historical respond in a certain geniune manner, the preferred tactics battling traditionally should be more likely to avoid any pitfalls we/you’ve fallen into in the past. This will put you or us in a stronger position, it can also increase your organization’s image as an intelligent, rational. I believe it/we may be able to determine some of these things from your own history, from the experiences and personally of its members or your close friends and colleagues. In addition as the saying goes, when some one gives you lemons, make lemonade. You need also the ability to turn any negatives you are given into positive situations which is a very powerful aspect of a democracy. For instance if you are discussing on the Gov.supporters agenda or media, chances are good that some of the important points you wanted to discuss won’t even be brought up.The Gov. supportes will naturally use their home court advantage to talk about their strengths, rather than points they may be weaker on. This makes the Gov. supporters’s tactics seem clearer to all of the members in your group and therefore easier exploited it to fight genuinly; and also a great way to win sympathy and respect from the general public. This is particularly true fighting the government supporters or party in a battle, a”David and Goliath” image fight to do a great deal to further your just cause. matters personal . We can’t undue our past . Take it easy, it is what it is . 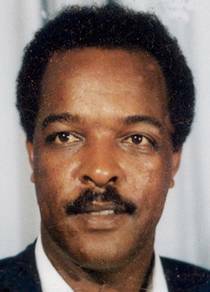 “አሻስያ ማዕፆ አጽያ ትስእስእ!! 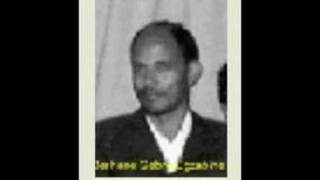 !” ህግደፍ ንኤርትራ ምስጂቡቲ፣ ኢትዮጵያ፣ ሱዳን አቆራሪፁ ሙሉእ ንሙልእ ዕጽውቲ ተገለለት ሀገር ገይሩስ ካብ ካሊእ ግዘ ፍልይ ብዝበለ ነፃነት ኤርትራ ዳንኪራ እንዳዘበጠ ጉዱን ህመቁን ንምሽፍፋን ይፍትን አሎ! አቱም ሰባት ወይ ናብ አባ ግርማ ናብ ማጮለት ውሰድዎ- ካሊዕ መዐት ከይ አውረደልና! “kufue sebay axelmitu gaza axiu eyu sebeytu zikitkit” ataraki zeyblu, meskari dima zeyblu. Gazetegna tisegug, wexaetegna tisegug, hizbi tikitkit tebasabis. Nab bet firdi aytikisesn. Hizbi ertra bzey alkol ena sekirna ahwatna nexanet amxiomulna elna. Ab nay amlak bota akemitnayom. Poletikegna setayi dem (vampire) mukanu resiena. Muhurat zibeluna zengiena. Emo hiji keero kabey timxae keero kekeyambebet nab bereka tewesida tebetina endateasret. Gedeb zeyblu dinkurinana niwkes hiji.